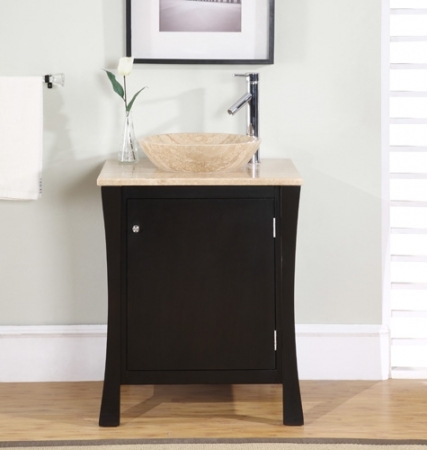 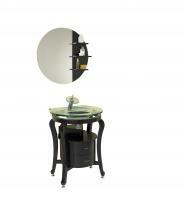 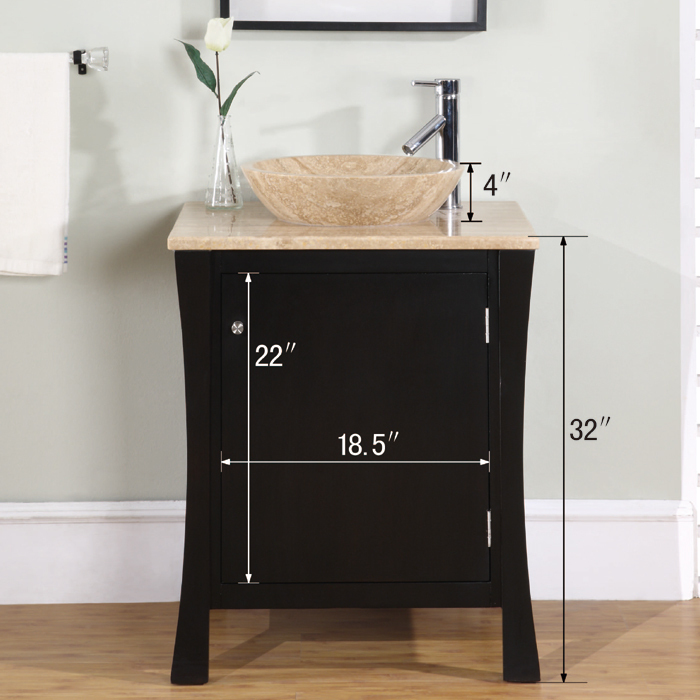 There is more than meets the eye in this single sink vanity. 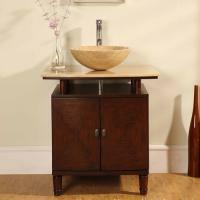 The dark brown hardwood cabinet opens to reveal a storage space and hidden drawer. 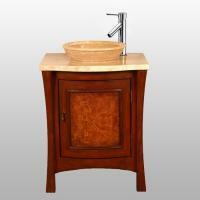 The light travertine counter top and vessel sink contrast nicely with the espresso cabinet. 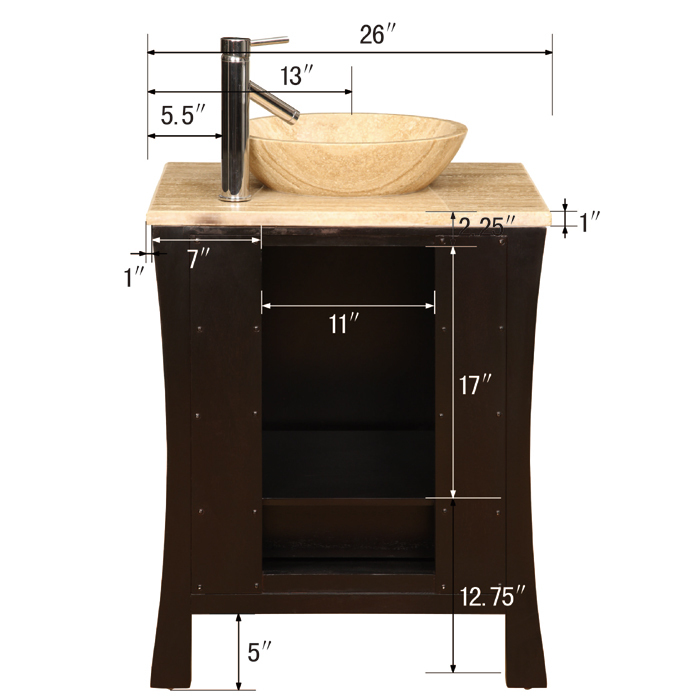 Some assembly is required and fixtures are sold separately.